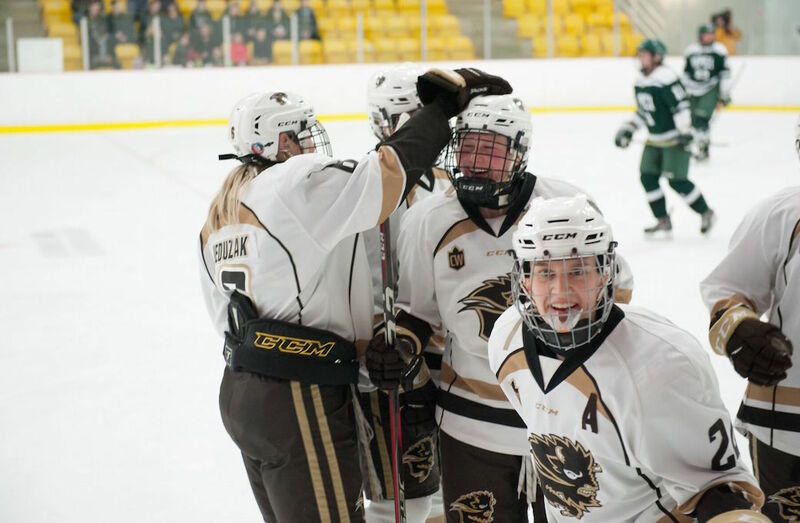 The Manitoba Bisons scored two third period goals to take down the UPEI Panthers 3-1 in the first consolation semifinal on Saturday. Despite playing in a consolation game, the Bisons – last year’s national champions – still wanted to come away with a win, especially against the host team and their supportive fanbase. Joining Anderson on the scoresheet were Alanna Sharman and Natasha Kostenko. Assists went to Megan Neduzak, Erica Rieder, Courtlyn Oswald, Karissa Kirkup and Lauryn Keen. Manitoba had a great chance to get on the scoreboard first with two power plays in the opening 10 minutes, but goaltender Camille Scherger and the Panthers’ defence did well to contain the Bisons’ seventh-ranked offence. Aside from the two penalties, it was an evenly matched period that resulted in a scoreless draw, with Manitoba leading the way in shots, 13-10. 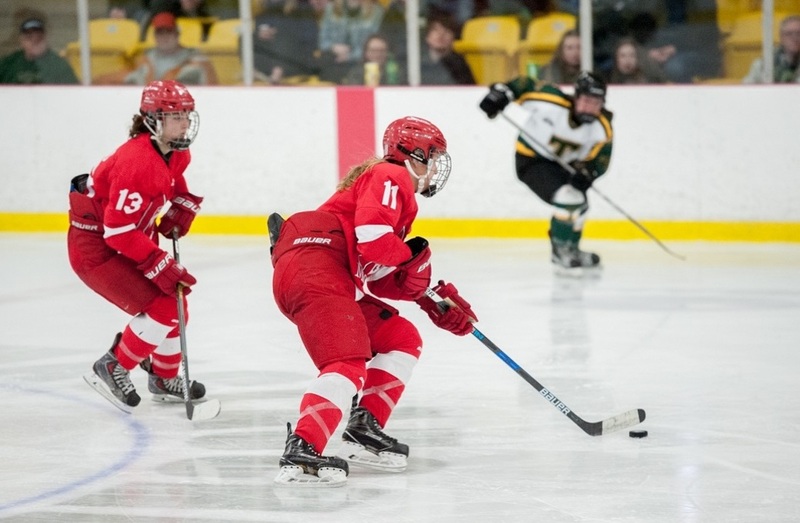 Seconds after Panther Faith Steeves was hauled down in the neutral zone – in what would’ve been a penalty – rookie forward Taylor Gillis fired it off the goaltender and buried her own rebound for UPEI’s first goal of the tournament at 5:58. However, that lead was short-lived and six minutes later, the Bisons squared things up at one apiece when Sharman wrapped around the net and blindly shot it off the back of Scherger and in. The host team’s penalty kill got plenty of work in the final minutes of the frame, as they battled against a five-on-three followed by another penalty. But as she has all season, Scherger stood on her head and made several big saves to keep the game tied after two. The Bisons finally solved Scherger in the decisive third period. At 11:28, Anderson fired a shot from the right wing off a Panther defender and in. On a two-on-one break shortly after, Keen sent a cross-ice pass to Kirkup, who was denied on her attempt, but Kostenko cleaned up the rebound to close out the game 3-1. With the win, Manitoba moves onto the consolation final on Sunday at 10 a.m. ET / 7 a.m. PT, where they’ll take on the winner of the St. Thomas – Toronto game.